Hotels and Resorts Can Buy Utility, Transport and Merchandising Vehicles Now, Pay Later. Or Lease with Low APR for Up To 60 Months. 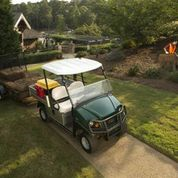 The versatile Carryall 500 utility vehicles is available in electric models or with a powerful EFI engine. 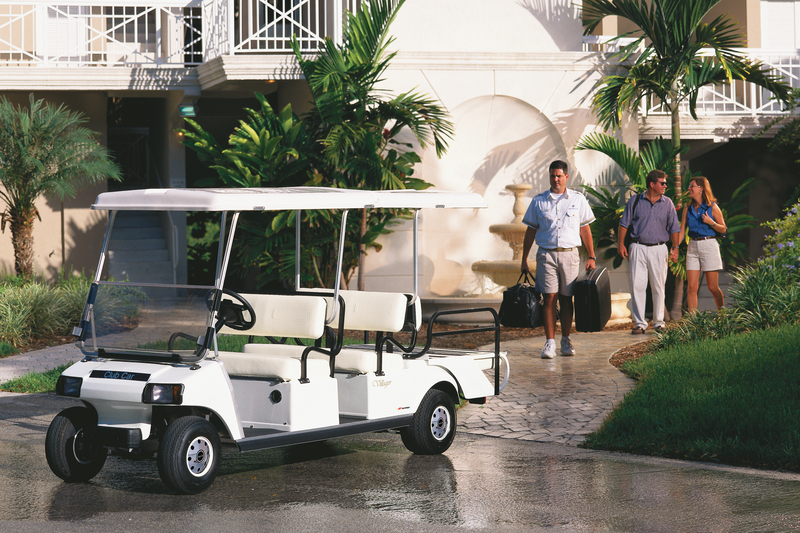 From safe and comfortable people movers to versatile, efficient work vehicles to zero-emissions housekeeping and hospitality vehicles, Club Car has the solutions resorts need. 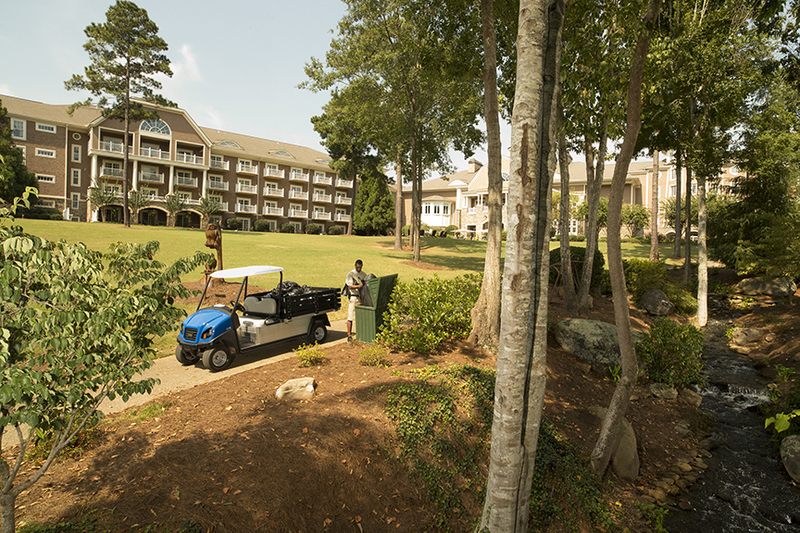 As the U.S. commercial UTV market leader, Club Car offers the largest lineup of commercial vehicles in the hospitality industry. Our 2016 Bank on Carryall sales event makes it easier than ever for hotels and resorts to purchase the vehicles they need. Or, these vehicles may be leased with special financing of 2.9% APR for 36-48 months or 3.9% APR for 60 months. “From safe and comfortable people movers to versatile and energy-efficient work vehicles to low maintenance, zero-emissions housekeeping and hospitality vehicles, Club Car’s got the solutions you need,” says Mary A. Sicard, Resorts and Rental Marketing Leader. Carryall® utility vehicles are available with electric, gas or diesel powertrains and in two- and automatic all-wheel drive two- and four-passenger models that sense the ground they are on and shift automatically. Electric Carryall LSVs are street legal on public roads with speed limits of 35 mph or less in most state. The larger ones work like pickup trucks, without the price tag. You’ll get up to 30 miles per charge, reduce your carbon emissions by tons per year, and keep your crews and cargo moving. 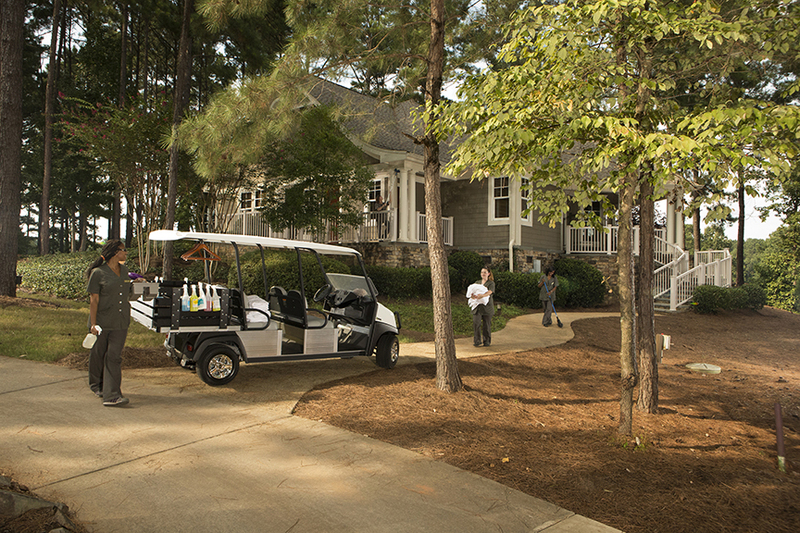 Why Partner with Club Car? Gasoline vehicles with single-cylinder overhead cam EFI engines with better fuel efficiency and power than our competitors. Reliable, zero-emissions electric utility, transport and low-speed vehicles with heavy-duty controllers and motors that deliver the power of gasoline vehicles while slashing energy usage. The industry’s only rustproof, corrosion-resistant aluminum frame for long life and improved resale value. A 4-year battery, 3-year/3,000-hour powertrain, 2-year bumper-to-bumper limited warranty on most models. VersAttach® optional bed-based attachment system for fit-to-task versatility. The industry’s largest selection of commercial-grade accessories. Trained sales professionals who will help you develop a strategic transportation plan. For more information or to schedule a demo of any Carryall utility vehicle, visit http://www.clubcardealer/carryallpromotions.com. The Villager transport vehicle come in four-, six- and eight-passenger models. 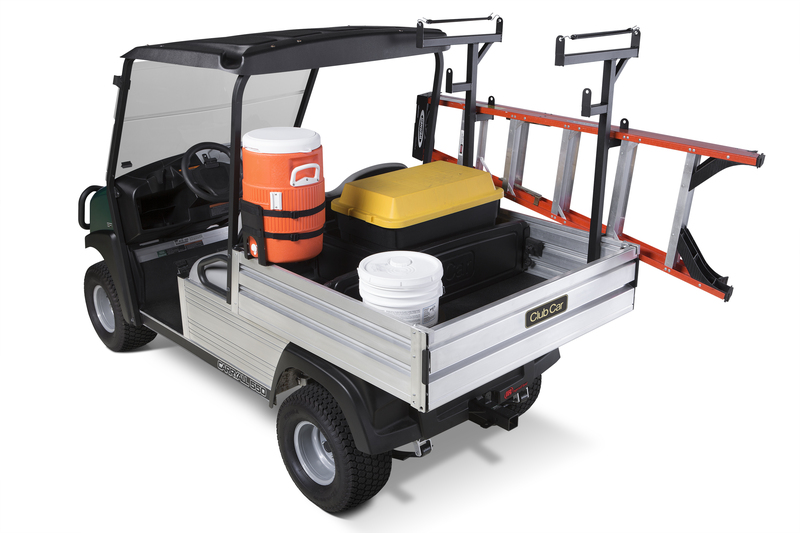 For added flexibility, Carryall utility vehicles accommodate the VersAttach bed-based attachment system. It carries tools and equipment outside the bed, freeing bed space and reducing round trips. This Carryall 700 has been customized for resort trash collection by Club Car's custom solutions department. The Transporter 4 carries two housekeeping crews and their supplies and equipment.